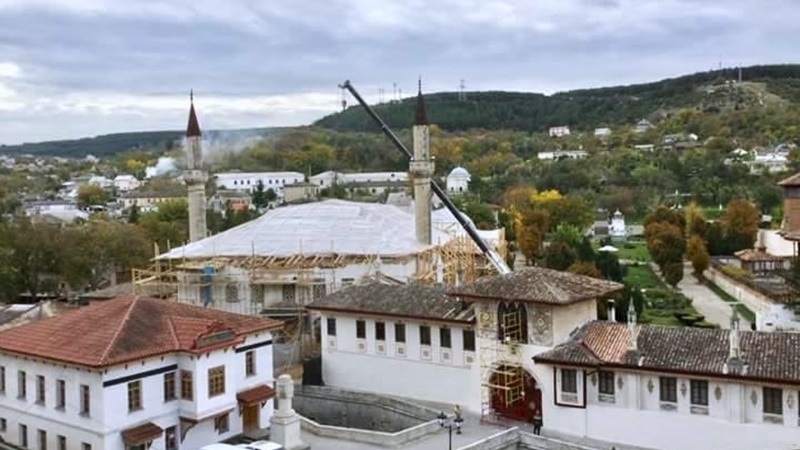 According to the QHA correspondent, during the "Crimea 2014-2017: Annexed culture" International Conference, the Chairman of the Mejlis of the Crimean Tatar people Refat Chubarov stated that those who are destroying the Khan Palace in occupied Bakhchysarai should be held responsible for this. “What is happening today being implemented on the basis, which was prepared in advance. In 2011-2012 the European Union allocated a grant to prepare the Bakhchysarai Palace for the UNESCO list. It had to be included in 2014, but the Russian invaders prevented this," Chubarov informed. Chubarov noted that everything had been done in Crimea to ensure that UNESCO experts visited the Khan Palace in Bakhchysarai. “We did everything for the UNESCO experts to visit Bakhchysarai, and found a format that made it impossible for the Russian Federation to legalize the occupation. Any intervention without preserving originality is a crime. This is the destruction of the Crimean Tatar culture, the Khan Palace, in particular. Those who are involved in this destruction must hold responsibility for this," Chubarov emphasized. The Chairman of the Mejlis went on saying that UNESCO was ready to organize a commission that would go to the occupied Crimea. “The Russian Federation insists that this to happen through the Russian Foreign Ministry, thereby attempting to legalize annexation. We in Ukraine do not have the ability to monitor the situation on all the sights in the Crimea, and we want to make a complete register of Crimean attractions now," Chubarov informed. QHA reported that Khan Palace is being destroyed in Bakhchysarai. Khan Palace Museum was closed for 4 days under the far-fetched pretext and the guard was posted on all sides.